OK here's a question for debate. If you've been chosen as head staff for a particular dance and there's been a death or some other reason you are unable to fulfill your obligations. What is the right course of action? 1.) Just lay low, don't show up. they'll figure it out eventually. 2.) 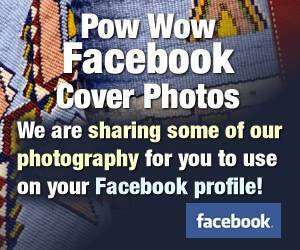 Contact the pow-wow committee and tell them so they can find a replacement. 3.) Send a proxy in your place. Around here, I think most people do #2 but I've heard of #3. How is it handled elsewhere? WE have had to bow out due to work reasons twice this year. Both times we called the committee and someone to cover for us, the minute that my husband found out that there was a mandatory overtime on his job. Luckily the company that he works for lets you know far enough in advance that so that you can change plans (most of the time at least 2 weeks), I think that it's in very bad taste to not let someone know that you are not coming even if you have a stand in. Yeah, I was at one where one of the head dancers fell out and he chose the person to take his place before he left. I've known a few that do any of the choices. But I do know that it is better received and a better choice to let the committee know so that they can make other arrangements and not to just leave them hanging. Or you could send someone else in your place, but I've mostly seen the committee being notified. it's just plain RUDE not to call and say you won't be making your commitment. a simple phone call ... as soon as YOU know you won't be making it ... would be in order. asking the contact person and if you do know of someone that could take your place mention it ... ask what they want you to do. they might say ... no thanks or sure! (saves them from looking for someone last minute). not saying anything is a sure fire way of never getting to be asked to on a head staff anywhere again. The last time I was on a committee that had a head back out not only did he inform me far ahead of time, but also helped to find a replacement. Much props there. Contacting the committee is a must, finding a replacement is a nicety but it is better to contact the committee, since there is always a possibility that for political/personal reasons they would not want a certain individual.